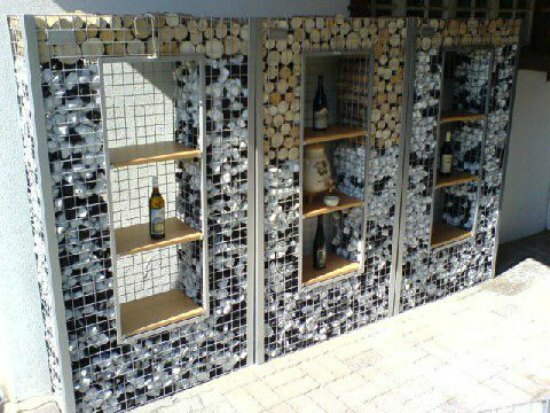 Gabions are a structure that can be used in numerous ways. 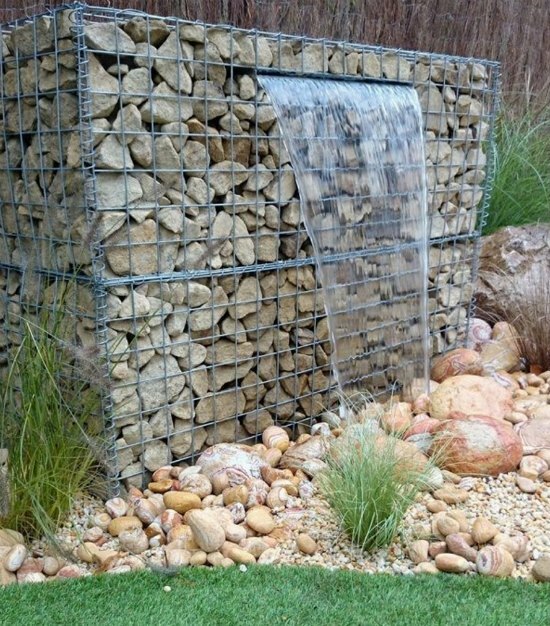 Typically, gabions are made from welded wire or mesh wire that has been filled with rock or stone. 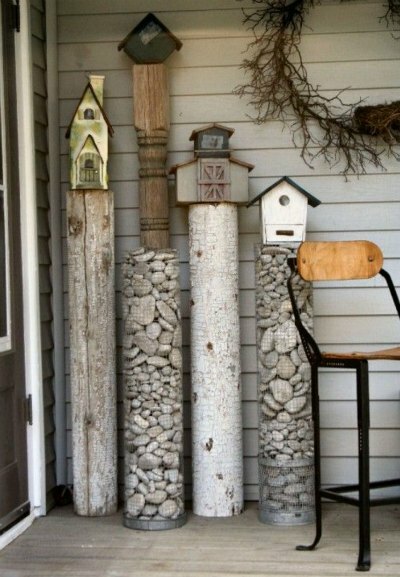 Occasionally, you’ll find gabion construction that has been filled with wood or even whimsical items, but most often some sort of stone is used. You may be surprised to know that there are lots of ways to use gabions on the homestead instead many traditional structures. 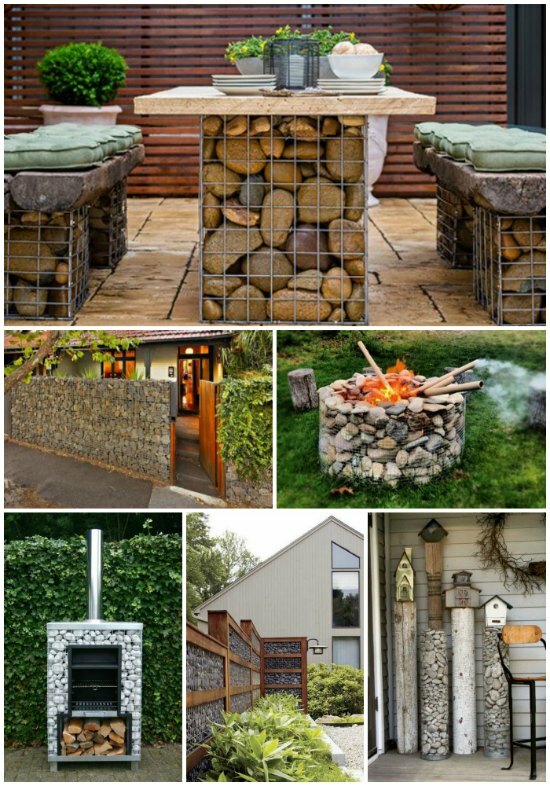 Below are samples of some of the most spectacular gabion structors, many of which you may wish to consider adding to your home. 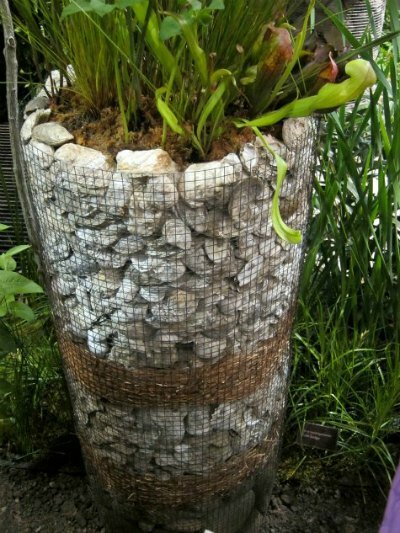 A gabion planter is a perfect decorative item for the homestead. 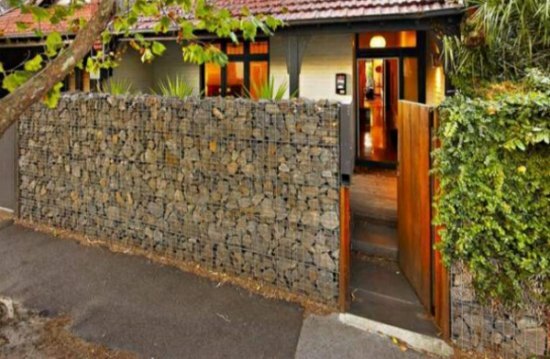 A fence built as a gabion can be used for decoration and for privacy. 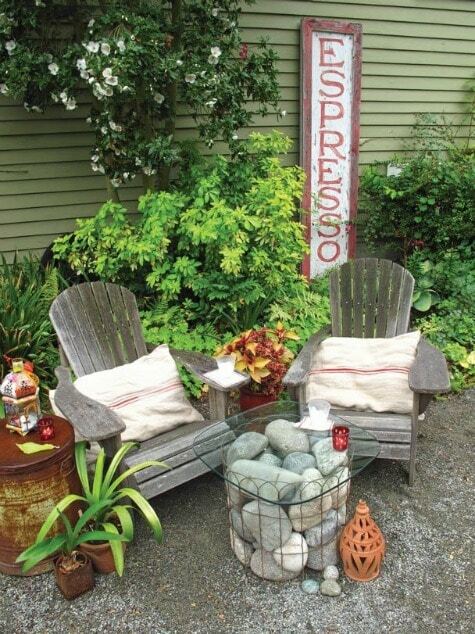 A few rocks and a wire cage are all that is needed to build a simple garden table. 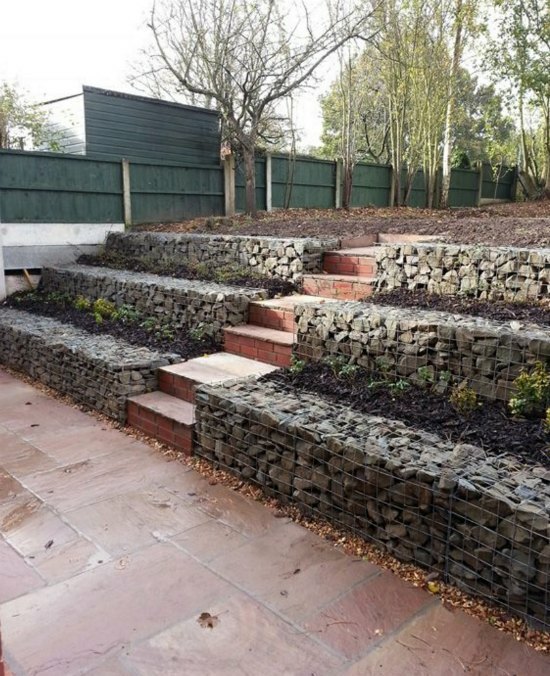 Consider using gabions if your property needs a retaining wall. 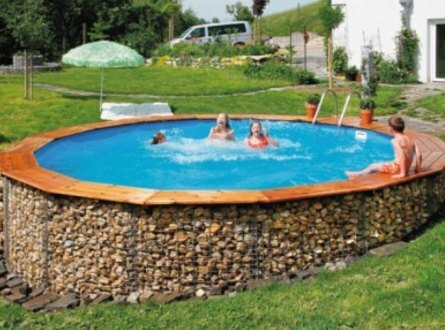 Use gabion to decorate an above ground pool. 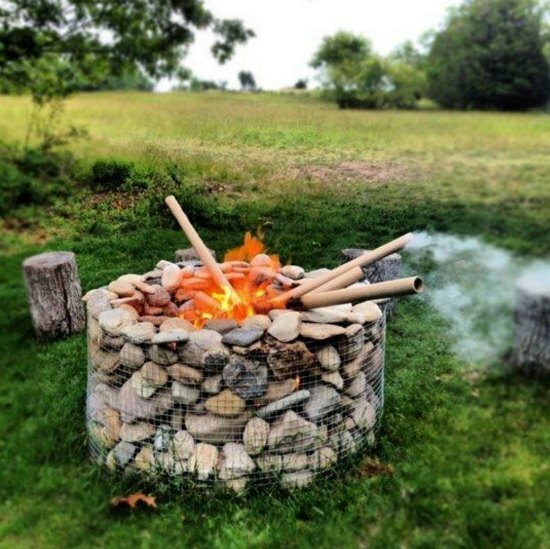 A gabion fire pit can be both safe and stylish. 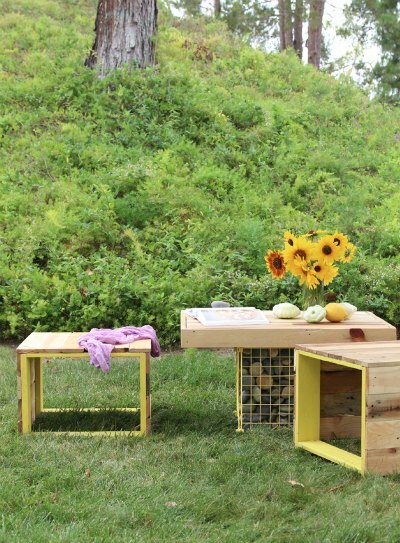 A gabion table is easy to make along with a pallet wood bench. Entertain dinner guests using this inviting table. Need a backyard water feature. Consider building with gabions. 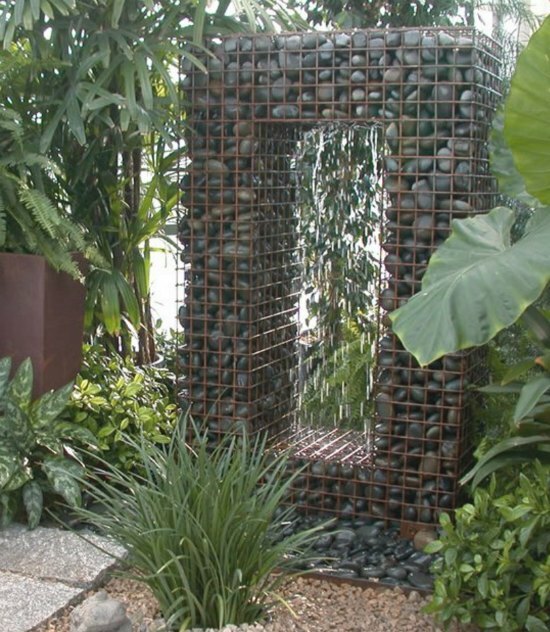 This gabion arbor is breathtaking. A simple wire frame is the cornerstone this arbor. 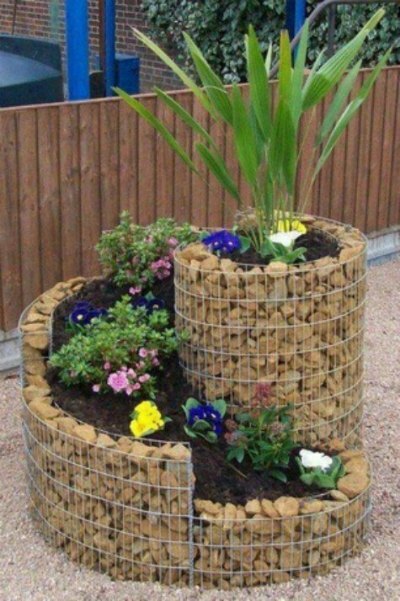 This is another way to make a gabion planter for your yard. Use gabions to showcase plants and garden decor. 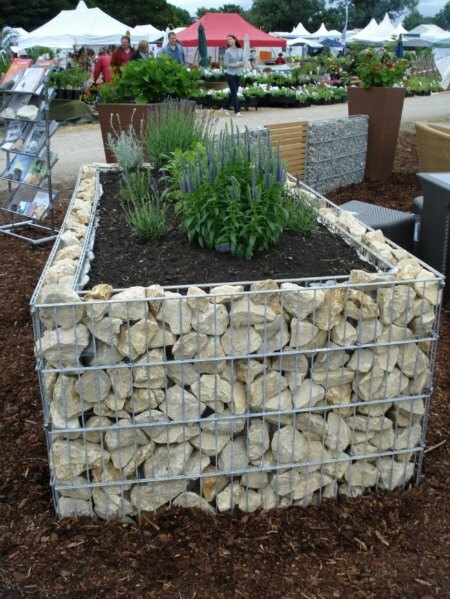 A gabion garden wall is perfect to surround a garden. 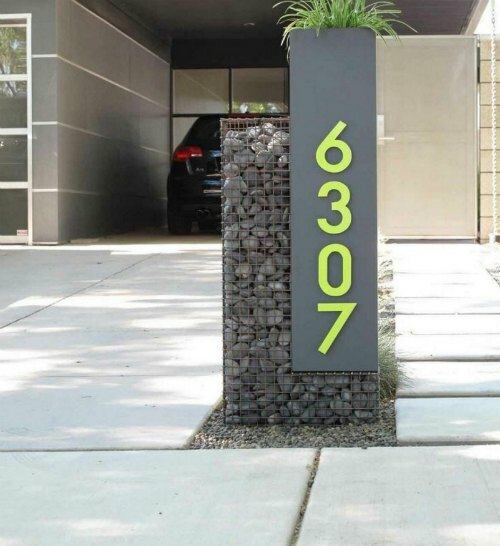 Use a gabion base to mount your home address numbers. 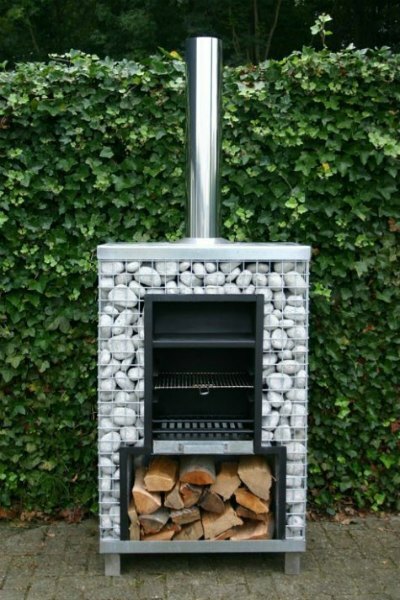 Do you know you can build a working wood stove as a gabion? 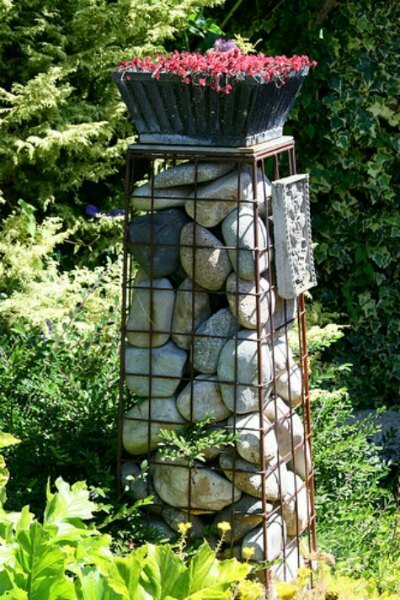 A gabion column is a great item to display in a garden or in a backyard. 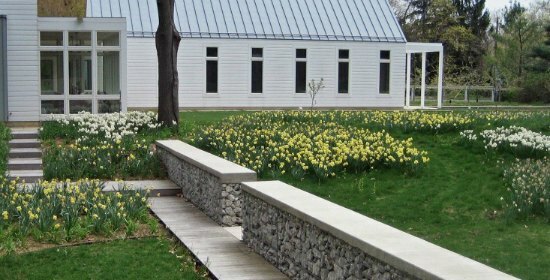 A small gabion can be used at the entrance to a beautiful garden. 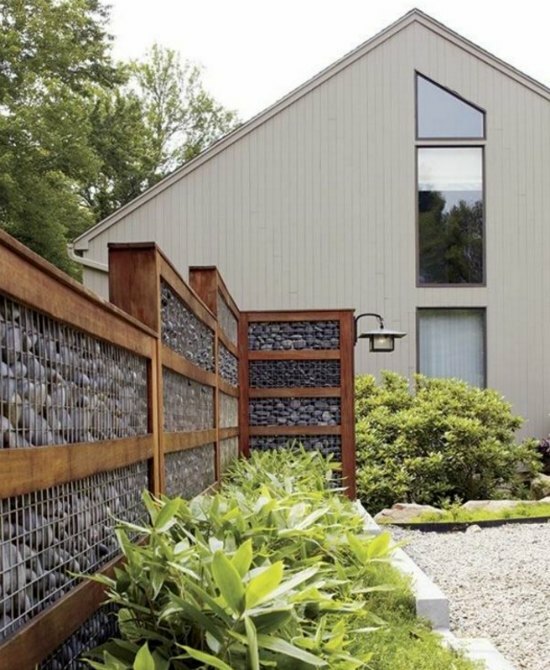 Love this classy fence to create privacy from neighbors! 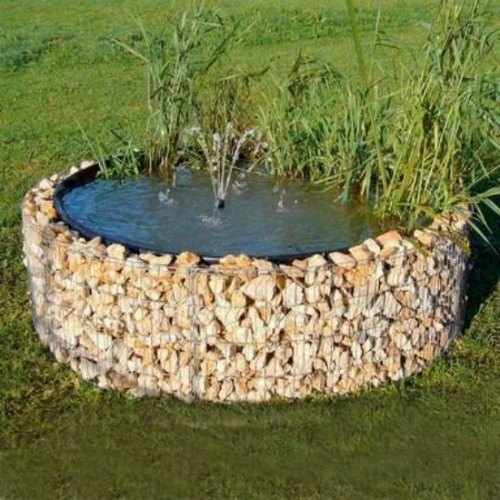 Ponds to not need to be placed in the ground when using a gabion. 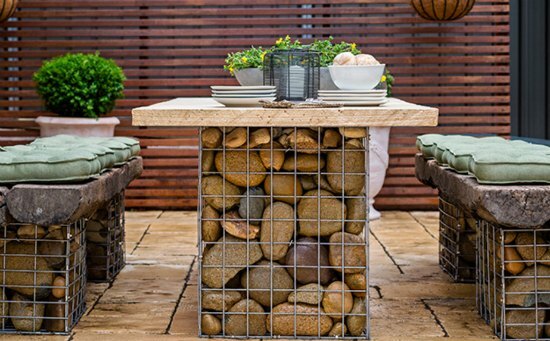 Outdoor shelving is easy to add to a patio by building a gabion. 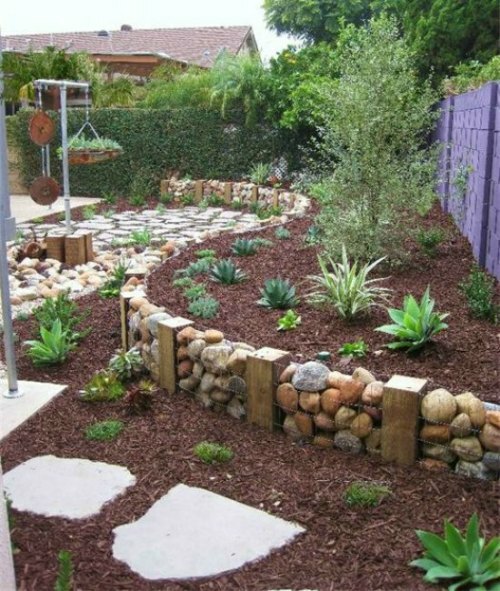 Why build a raised garden bed out of wood when you can use a durable gabion design?